Andy Achenbaum, a University of Houston professor emeritus of social work, argues that the provision for senior day care is very haphazard, and financial supports for these important centers “do not always complement one another in a cohesive, integrated manner.” In an interview, he blamed this on a combination of society’s general “ageism,” a scarcity of funds, and the fact that “nobody wants to think about” getting old. Lu believes the one-time immigrants here face a unique set of challenges. Most of them spoke little English when they arrived but worked hard to send their children to college. Now their children are, like most modern families, busy and can’t spend all day caring for their parents. Lin Tai Wong, age 97, comes here four days a week. She pulls a well-worn wedding photograph from China out of her wallet. 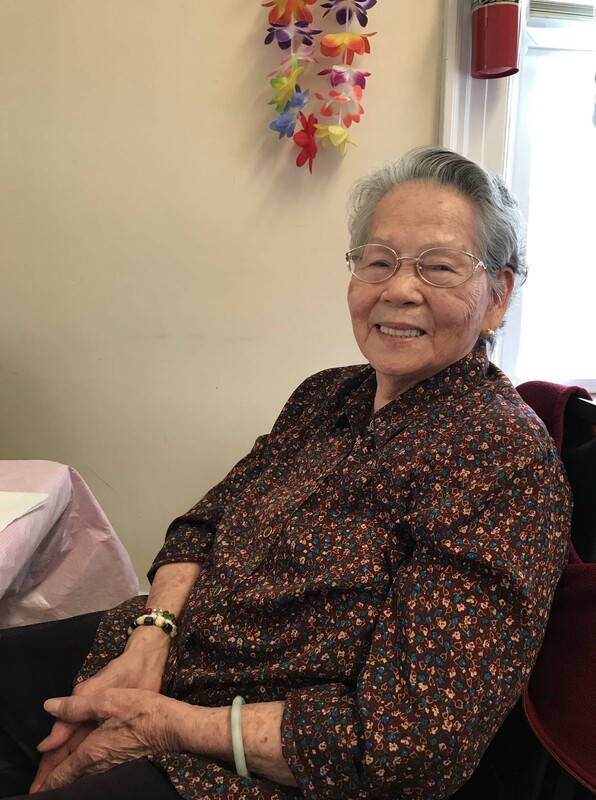 She explains (with Mei translating Wong’s Cantonese into English) that she followed her husband to the United States after World War II. Phillip Wong died in 1992, but their five children remain in the area. Wong doesn’t like air conditioning, so she sits at a table in the wide second-floor hallway, walled off from air conditioned activity rooms on either side. She talks with people who walk by or reads the Chinese newspapers. Today, she is complying with the center staff’s request that she roll plastic knives and forks into napkins in preparation for the day’s lunch. That’s another important role for the center: making Wong feel useful. 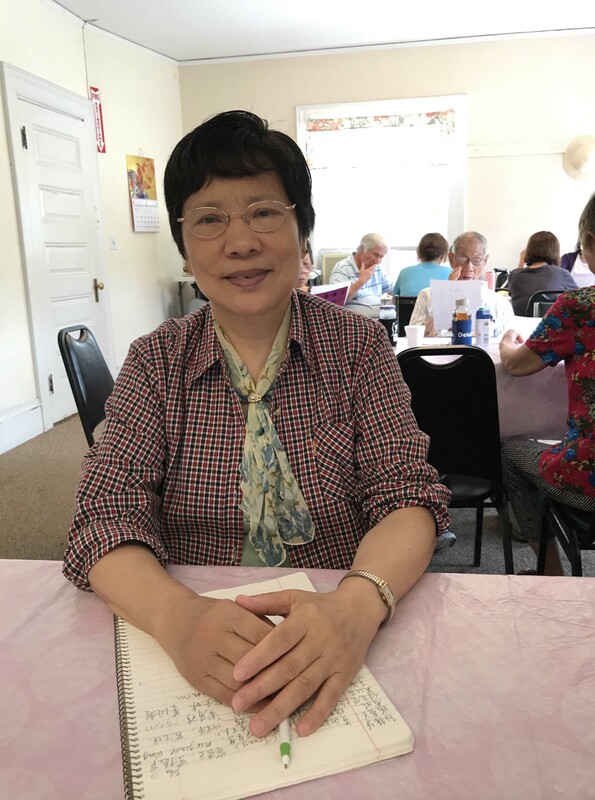 My grandma plays bingo at Greater Boston Golden Age Center’s too 🙂 Nice place for seniors. This is a good reminder that Asian culture is just so much more respectful of the elderly than many Western cultures.